Manufactured to the highest quality standards using the state-of-the-art technical facilities at our Swiss glassworks, the choice is crystal clear. Microscope slides are the foundation of your research and diagnostics—the platform for your samples. The optical superiority and surface quality of Thermo Scientific slides and specialty glass provides you with reliable, quality results across a range of pathologies. Our comprehensive range includes adhesion slides, microslides, beveled microslides, positively charged slides and more. In addition, we offer a full range of accessories such as coverslippers, slide storage solutions, slide and cassette printers and more. Eliminate the need for paper labels. Thermo Scientific™ SuperFrost™ Microscope Slides have raised, writeable frosted ends for marking. 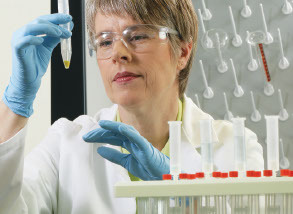 Thermo Scientific coated adhesion slides offer reliable, high quality and uniform performance. Save hours of slide preparation and virtually eliminate tissue loss with Thermo Scientific™ SuperFrost™ adhesive slides. Slide baskets, hangers, mountants, coverslip tape, coverslip hoppers and more. Thermo Scientific coverslips are ideally suited as cover material for specimens in microscopic examinations. Reduce errors and streamline your workflow with our slide and cassette printers. From transporting and protecting slides and blocks during shipping to permanent storage solutions. Collection trays, hot foil tape, cassettes, marking pens, software, digital imagers and more.